This was my first computer. "Laptop" would be a liberal use of the word here - at almost 6 kilograms, this machine is hardly suitable for casual balancing-on-one-knee use. I got it as a Christmas gift, probably in 1992 or 1993 (in 1994 I had a 486) so I was around 9 years old at the time. 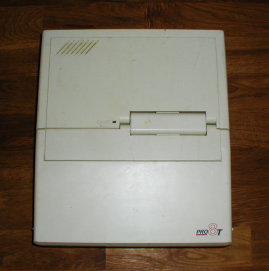 I have found and scanned the complete "LAPSIZE PC USER'S MANUAL" for this machine (boldly ignoring the prohibition to do so). This has answered some earlier uncertainties exactly what hardware it has and what it was intended for. 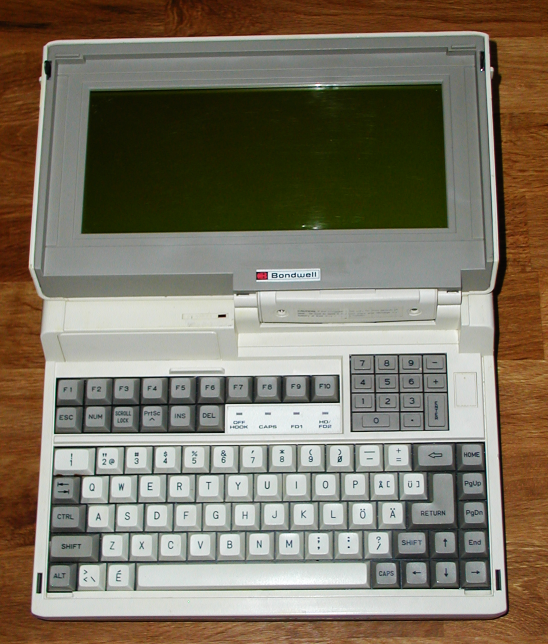 It's based on an Intel 80C88, a "high speed, low-power version of the 16 bit 8088 microprocessor" and has 1 megabyte RAM. 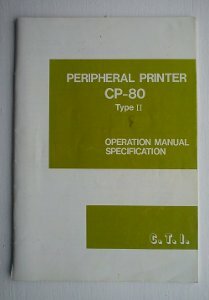 Complete specifications can be found in "Appendix A" of the manual. 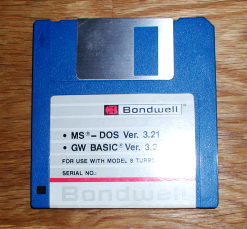 It came with MS-DOS 3.21 and GW BASIC 3.2. Alas, my system disk no longer works after I accidentally reformatted it. I have a couple of other disks it can boot though, so I have never bothered to make a new one. I have fond memories of playing Wizard's Castle on this machine. I also had a word processor (SPCS "Ord"), some educational software (spelling and computer tutorials) and a few more games (including one with a Star Wars theme and a flight simulator where I never got off the runway). On the right side we find two 3.5 inch/720 kilobyte floppy drives and some switches. From the left: backlight switch, contrast adjustment wheel and the "4.77 / 8"; CPU "turbo" switch; the latter __does__ make a big difference. 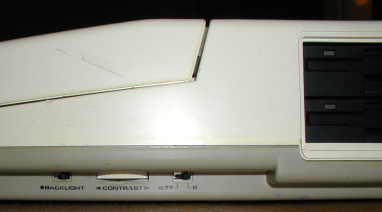 The left side has "TELCO" and "TELSET" jacks for use with the internal modem. 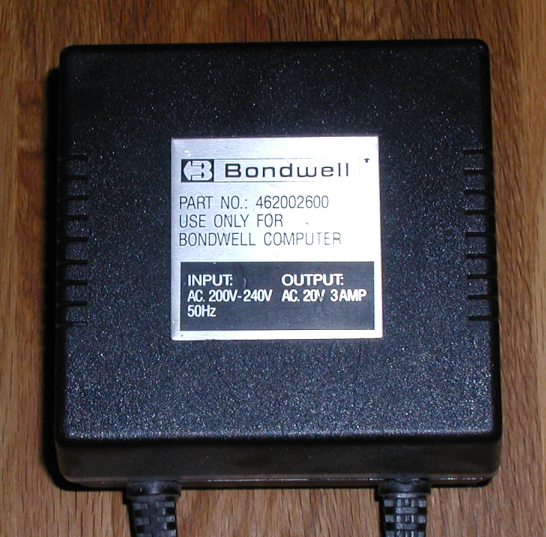 The back has connectors for 9-pin RGBI (CGA), composite video (untested), printer (the sticker was there when I got it and I've left it on for all these years), external floppy (also untested), RS-232 (D-SUB 25), 20 VAC and a power switch. Greg Coleman from Australia reports: "These laptops actually were designed to run off batteries, so I found out when I pulled it apart. It runs on two 6V sealed lead-acid batteries. As they are going on for 25 years old, they were completely dead. Upon replacement, the laptop ran for about 2 hours on a full charge before the disk drive stopped working." The [keyboard layout](lapsize.php?i=29) is a very unusual "swedish" QWERTY (É is rarely used in swedish and Ü not at all). The wide "1" key is also somewhat peculiar. It has a miniature numerical keypad. The small rectangle on the right edge is where the hard drive power switch would have been. The suspension for keeping the display upright was broken ever since I got the machine, so I use the power brick to support it. The power brick weighs about 1.4 kg. Various LED indicators; "OFF HOOK" (related to the left side jacks), "CAPS" lock and floppy disk/hard drive activity. 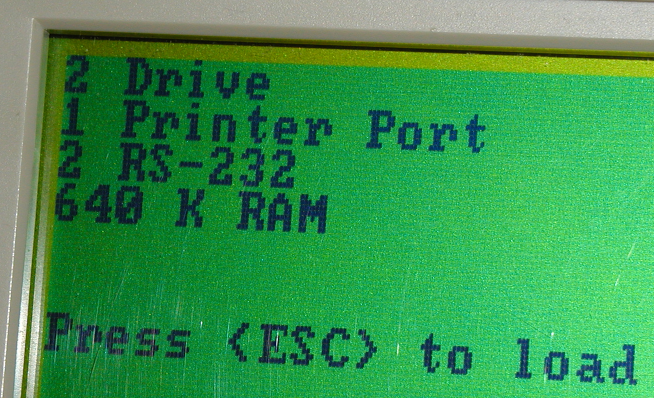 This machine still works, shown here is the bootup sequence. The "2 RS-232"; message is a bit puzzling since the pinout shows only a single connector on the D-SUB (I had previously assumed it needed a split cable to be utilised fully). I have now been informed COM2 is actually the internal 1200 bps modem (thanks Per!). 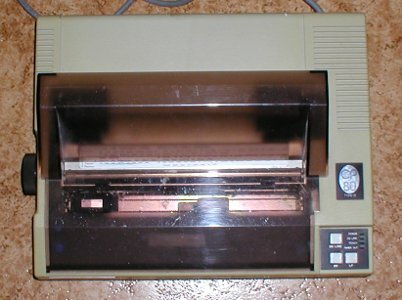 "CP-80" matrix printer. I no longer have this; I don't run a museum. I had the most wonderful dream one night. 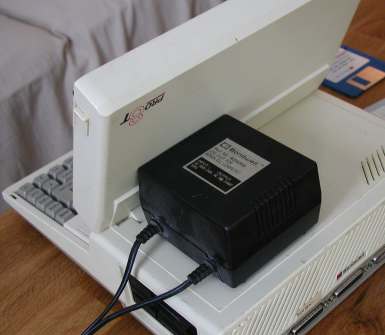 I met someone who had a modernized version of this computer (similar to the C64 relaunch). "Is that a Bondwell? ", I blurted out. It had the same shape but was made of black plastic, had a processor in the gigahertz range, touchscreen and an SD-card reader. The owner also gave me a demonstration of a drum sequencer. It looked almost like a TR-808 but had a built-in flanger and steep low-pass filter that gave a very aggressive sound. I wish more of my dreams were like this. bondwell.php was last modified on 2018-12-29 and should be valid XHTML 1.0 Strict.